For those suffering from “Downton Abbey” withdrawal, missing their weekly dose of the joys and travails of the Crawley family and their servants, despair no longer. OETA has scheduled a binge-worthy Thanksgiving holiday marathon of all six seasons of the top PBS drama of all time, the most popular series in MASTERPIECE’s 45-year history and one of the most-watched dramas on American television. Kicking off on Thursday evening, November 24 at 8:30 p.m. and concluding on Sunday, November 27 just before the season finale of "Poldark", this round-the-clock celebration features every enthralling moment of the unforgettable series. 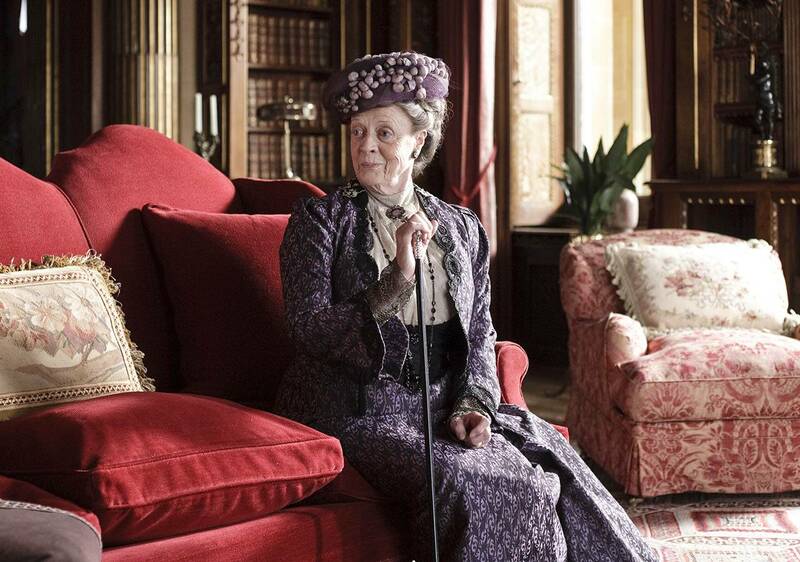 Plump the cushions, pour the sherry and settle back into the world of the witty Dowager Countess and her “frenemy” Isobel, the Crawley sisters and their below stairs counterparts, for all the romance, intrigue, heartbreak and happiness “Downton” provides. “Downton Abbey,” a Carnival Films/MASTERPIECE co-production, opened Season 1 with a crisis sparked by the sinking of the Titanic in 1912. Having weathered the demise of a string of heirs, the horrors of World War I, the Spanish flu, false convictions and romantic betrayals, not to mention the compromising death of a Turkish diplomat in the throes of passion, the characters of “Downton Abbey” continued to keep viewers riveted for five more seasons. Season 6 opened in 1925 with a series of crises reflecting the momentous changes that transformed society. Women’s rights gave Lady Mary and Lady Edith new positions of responsibility: Mary ran the estate, and Edith managed the magazine she inherited from Michael Gregson. Tom Branson had left for Boston, and newlyweds Lady Rose and Atticus Aldridge tried their luck in Jazz Age New York. Anna Bates faced a murder charge, though many still suspected her husband. And for the rest of the servants, big doubts hung over their jobs. But in the bittersweet final episode, everyone seemed to find his or her rightful place in a conclusion befitting such beloved characters. A runaway hit when it debuted on PBS in 2011, “Downton Abbey” — a Carnival/MASTERPIECE co-production — is widely credited with reigniting American viewers’ passion for British drama. Beloved cast members include Michelle Dockery, Hugh Bonneville, Joanne Froggatt and more. With 59 Emmy® nominations, more than any other British show in Emmy® history, “Downton Abbey” is one of the most-honored series on television. It has won 12 Emmys®, three Golden Globes®, four Screen Actors Guild Awards, a Producers Guild Award and four BAFTAs. “Downton Abbey” is a Carnival Films/MASTERPIECE co-production written and created by Julian Fellowes. The series is executive produced by Gareth Neame, Julian Fellowes, Liz Trubridge, and Nigel Marchant. Chris Croucher is the producer. The executive producer for MASTERPIECE is Rebecca Eaton. The senior series producer for MASTERPIECE is Susanne Simpson.